A night out with a friend at the Opera House turns into a nightmare! This mysterious diva's dark talent claims another victim – can you stop her before the curtain falls? 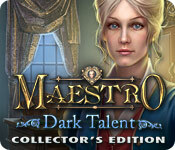 Maestro: Dark Talent Collector's Edition is rated 3.7 out of 5 by 60. Rated 5 out of 5 by smoovasbutter from Great graphics This is the 4th and latest game of the Maestro franchise. The graphics are top notch. ERS has really stepped it up with its recent offerings in regards to graphics. The graphics of this game is an improvement over the previous in the series. Some of the storyline stuff is a bit on the hokey side but thats to be expected in this genre. The HOS are pretty well done. The game is perhaps a bit on the short side. Rated 5 out of 5 by tutortime from Great Game. Beautiful game, this developer does not dissapoint. Rated 5 out of 5 by TheRealMagicJack from Maestro: An Easy Path To Follow The final episode I found to be a simple matter from beginning to end. Most puzzles are quite simple, many solvable just by randomly moving things around for a minute or so and the odds are in your favor you'll solve it. There are a couple of exceptions but for the most part the game is pretty linear without much back peddling necessary. It's these factors that actually add to the fun factor of 'Dark Talent' if you're into this genre of game but don't want to struggle or get frustrated playing it (some games can be unnecessarily redundant and boring due to repetitive back tracking).The atmosphere is absorbing, the sounds subtle and fitting, and the path throughout smooth sailing. Rated 5 out of 5 by ty1220 from I was glad to see another Maestro I think I'm about halfway through this game, and have been enjoying it. There are only a couple of series of games that I really get excited about. Shadow Wolf, Haunted Legends, Grim Tales and most of the Puppet Show series I have really gotten into. 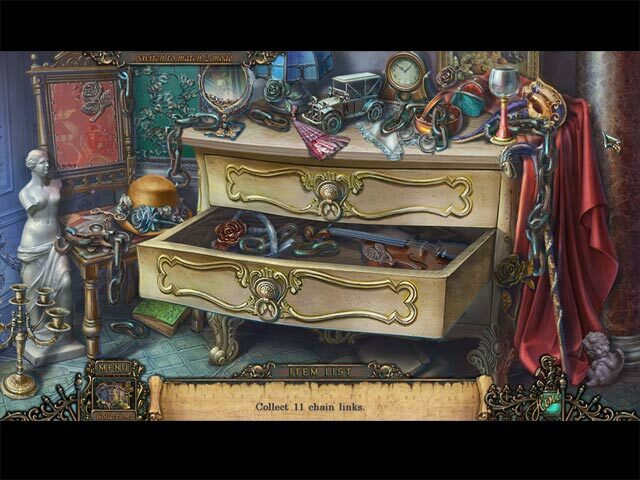 In this Maestro I appreciate how they have changed up the typical hidden object scenes a bit. The game has flowed nicely with no glitches. The graphics are comparable with a top level game, in my opinion. I also enjoy the fact that this game is not set in Fantasy Land/ Fairyville. I skip right over new releases as soon as I see that theme. If you have liked the other games in the Maestro line, I think you'll like this one pretty well too. Rated 5 out of 5 by RobinLea from Fun Fun Fun Perfect for me! A beautiful game. Objects are used pretty much within 3 screens of where you find them. The game had a great flow. Not unbearable back tracking or having to use the jump map. Length might be short for some but I actually prefer a game that is smooth and one I can finish in a few hours. I will add this one to my very favorite replay games. I own all of the games in the series and I am glad I added this one! Rated 5 out of 5 by Penhip from HANDS DOWN THE BEST MAESTRO GAME IN THE SERIES!!! CONGRATULATIONS ERS!!! You have completely outdone yourselves with this one. I really enjoyed this game. Who am I kidding... I LOVED IT!! This game has it all. With the signature graphics that typify ERS games (think the Poe series), Dark Talent is a feast for adventure game fans. There are games everywhere! And one is more enjoyable than the other. There is a match 3 game in the bonus chapter that I absolutely adored and would play regularly if available (hint!). 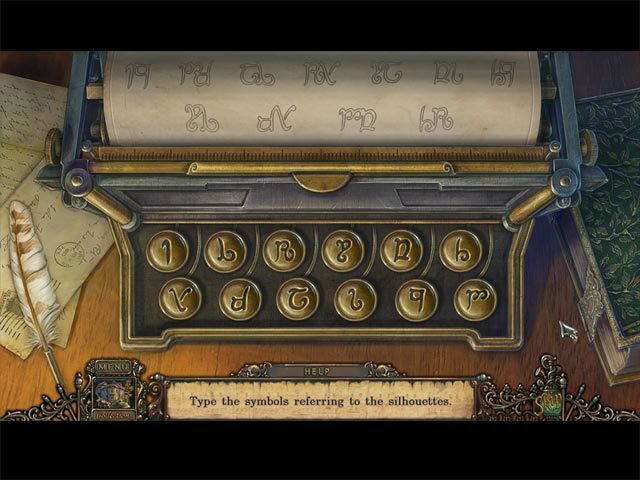 I just couldn't stop playing this game... it was THAT GOOD!!. I played the CE straight through which is a big indicator of how much I loved it because I typically fluctuate between different adventure games to keep it interesting. The pacing of this game was fantastic and the fun factor is off the charts. If you are a fan of the Maestro series this will be a special treat, and if you are an adventure game fan this one is not to be missed. ENJOY!! Rated 5 out of 5 by skullfun from ERS cranks out another masterpiece!!! After ERS Game Studios' hidden-object adventure series Maestro: Music from the Void and Maestro: you'd think your taste for musical prodigies might have soured a bit, what with all the unspeakable evil and demonic pacts they seem to attract and leave you to clean up. In Maestro: Dark Talent, a performance by "Diva", a singer who literally came out of nowhere, turns freaky when your friend, Kate, and the rest of the theater patrons are sucked inside by the dark forces du jour, where they'll have their life force drained unless you can stop them. At least, according to some dandy in an alleyway who calls himself a "Knowing One", which sounds smug and insufferable until you realize there's a good reason he's not called the "Actually Effective One", and soon it's up to you to stop Diva and the dark forces and wannabe Dementors behind her. Maestro: Dark TalentERS titles always have high production values, and Dark Talent is no exception with its gorgeous illustrations, though several of the voice actors give performances that imply they're bored out of their skulls. There's actually an interesting story at works here, with an antagonist that actually feels sympathetic, but the staggering amounts of backtracking and busywork and precocious ferrets means the tale unfolds at a snail's pace. 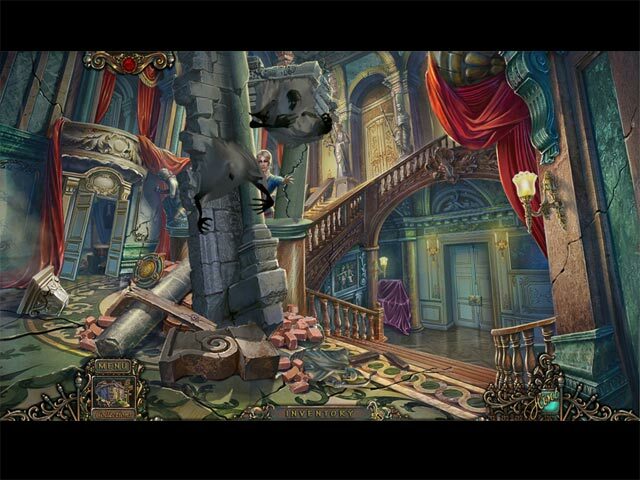 Fans will love the variety, however #even if the game doesn't actually know what a bridle is#, as the piles of puzzle types and hidden-object scenes keep each area feeling fresh and different, not to mention vaporizing evil spirits with your MacGuffin feels appropriately epic. It's almost enough to make up for the fact that the game essentially forces you to be a glorified Care Bear to defeat Diva. Almost. The game picks up after you're finally allowed out of the opera house, and exploring the streets is a lot more interesting... and insane, as your character's reaction to finding a small chariot blocking their way is to immediately decide they need dynamite. I mean... that's always my solution to minor obstacles, but the courts told me that was "wreckless, irresponsible, and borderline sociopathic". Regardless of difficulty settings, most players will probably speed through the game in around three hours or so, which is sort of surprising given how large the map is and how many puzzles and items there are on every square inch of it. As you'd expect from an ERS Game Studios title, Maestro: Dark Talent is both beautiful and polished from every angle, with the perfect balance of puzzles and hidden-object scenes to satisfy fans of both. I'm still a little skeptical about the ingredients you'll need to acquire to banish Diva later in the game, mainly because I can think of things that would generate a lot more positive energy... but I guess asking a pseudo-Victorian game to include a Farscape DVD, pineapple pizza, and novelty Spider-Man yoga pants is a little unreasonable. Rated 5 out of 5 by southerngamers from one word= AWESOME This is the best Maestro yet. The graphics were awesome, the dialogue was great, and the music was good (not annoying). I wish there were more games like this.